By making a tax-deductible contribution to the Augusta Museum of History, you support the work of the Museum, which impacts thousands of visitors who come to learn about Augusta and the River Region, and supports the preservation of over three million artifacts and archival materials in the Museum's collection. There are a number of ways to support the Museum. We can provide assistance to determine the best strategy that suits you, your family, and your charitable intentions. From supporting preservation of collections to presenting the area's history through exhibits and programs, your annual gift is the cornerstone of the Museum's success. The daily operations of the Museum depend upon the essential support of our members, our friends, and our community through donations to the Museum fund each year. Donations can be made by credit card, check or through PayPal. Please make checks payable to the Augusta Museum of History. Increase the value of your museum contribution with a corporate matching gift. Many employers sponsor matching gift programs and will match any charitable contribution made by their employees. The process is easy and typically requires you to simply submit a matching gift form. The symposium was created and developed to recognize Marine Lieutenant Colonel Jimmie Dyess's courage as both a citizen and a soldier of the United States and to identify others who have shown similar valor or made civic contributions above and beyond the call of duty. The symposium includes talks by several distinguished individuals, including the yearly recipient of the Jimmie Dyess Distinguished American Award. By contributing to the Jimmie Dyess Symposium, you are insuring that this event will continue for years to come. By Planned Giving or donating to the Endowment, you will have the satisfaction of helping secure the place history holds in our community. Gifts of appreciated securities, such as stocks and mutual funds, are excellent ways to support the Augusta Museum of History. Corporate sponsors make it possible for families, school children, and researchers to benefit from our programs and exhibitions each year. With your support, the Augusta Museum of History will continue to reach thousands of visitors and program attendees. Our sponsorship programs are individually customized to meet your specific marketing goals while maintaining the Museum's mission. Please contact us to learn more about the Museum's special events, education programs, exhibitions and preservation efforts. From General Oglethorpe and George Walton to Woodrow Wilson and Emily Tubman to you. Join the legacy of these men and women and leave your mark in Augusta history. 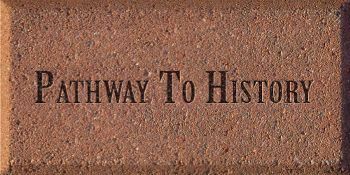 Schools, businesses, civic organizations, families, and individuals are invited to purchase a personalized brick along the Pathway to History for a $100 donation. Our beautiful brick pathway creates a grand entrance into our Museum. Your personalized brick will provide a visible landmark of your commitment to a place of discovery that all Augustans will enjoy for generations to come. 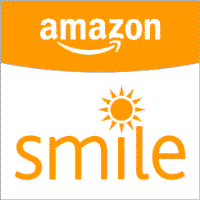 If you shop on Amazon, we invite you to shop at smile.amazon.com and choose the Augusta Museum of History as your charity of choice. Amazon will donate 0.5% of the price of your eligible AmazonSmile purchases to the charitable organization of your choice at no extra cost to you! AmazonSmile is the same Amazon you know. Same products, same prices, same service. Sign in to AmazonSmile using your existing Amazon email and password. On your first visit to AmazonSmile you will be prompted to select a Charitable Organization before you begin shopping. After signing in, search for "Augusta Museum of History" located under pick your own charitable organization, click Search. Click the yellow Select button next to Augusta Museum of History Inc. on the result page. Begin shopping! Shop for your favorite products or the perfect gift. No extra cost is passed on to you! Amazon will donate 0.5% of your purchase to the Augusta Museum of History! Become a member and support the AMH as you enjoy exhibitions and programs and explore the rich cultural heritage within our doors. Attend lectures, family programs, and films, and visit the galleries throughout the year for free! A tax-deductible corporate contribution to AMH's Annual Campaign offers benefits designed to share the area's cultural heritage and rich history with your employee's.